Cleanse your mind and body with our best-selling beauty set. Treat yourself or spoil a friend with this beautifully curated all natural set. Himalayan salt crystals promote healing energy and pure spaces. Containing a long list of body and soul benefits. Throw a chunk in the bath to absorb skin healthy minerals, keep on your desk to purify the air or decorate a shelf with its beauty. 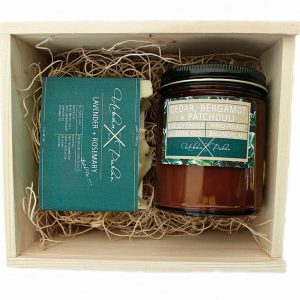 The natural soap bar and soy wax candle included in this kit will make for a soothing, incredibly nourishing bath experience. 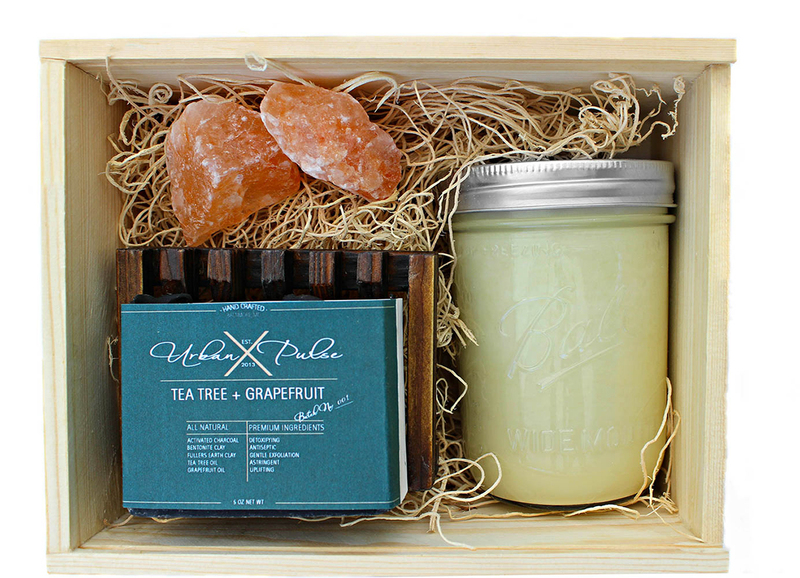 Containing rejuvenating essential oils to heal your skin while providing a relaxing aroma. Comes in a wooden gift box ready-to-gift with an insert describing all of the products uses, instructions and benefits. Enjoy! Himalayan salt crystals are known for purifying spaces but are also rich in over 84 minerals. 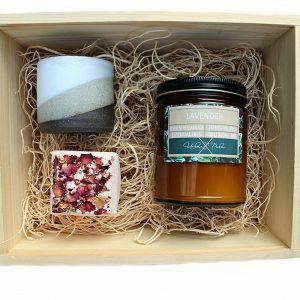 Gift Sets Includes: (1) 16 oz soy wax candle of your choosing, (1) 5 oz soap bar of your choosing, (1) Draining Wooden Soap Dish and (2) pink Himalayan Salt Crystals in a wooden gift box with detailed product descriptions. Candle Burn Time: Approx. 85 hrs.